This is our standard chess pieces. As an example, we have expose the black one. This kind of chess size often use for champion and mostly, people like to have it for their collection game. You can play chess game using this set in your house. You just need a flat table to put the board and two chairs or stool for the player. It easy to play and easy to carry on. You can also ask your children to learn chess game using this chess set. 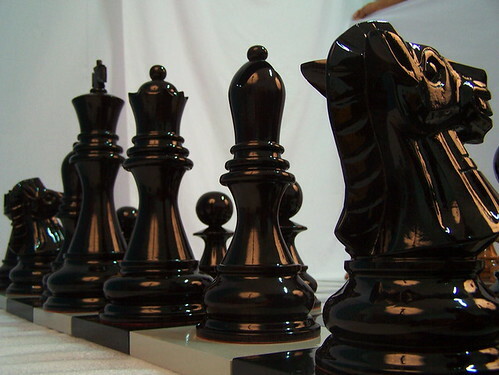 Standard chess set has made of best quality of Teak wood and carved by our expert craftsman. The carving is unique and beautiful. Those wooden chess pieces have preferred by many people, because it save for use and durable for indoor and outdoor. Try to have it and make it to become your game equipment in your house!